The first official game at Sahlen Field will be Opening Day 2019 as the Bisons host the Scranton/Wilkes-Barre RailRiders on Thursday, April 4 (2:05 p.m.). The Bisons and Sahlen's are both family-owned organizations with deep histories serving the Western New York community. The 2019 season will be the Bisons 135th season of professional baseball in Buffalo, the last 35 of which have been under the ownership of Bob and Mindy Rich of Rich Products Corporation. Next year will be the milestone 150th year that the Sahlen Packing Company has provided their customers with the freshest and highest quality meat products. "We are thrilled to expand our already great partnership with Sahlen's. The Sahlen's name is synonymous with high quality service and products and we couldn't be happier to host our brand of family-friendly sports entertainment at Sahlen Field," said Bob Rich Jr., president and owner of the Buffalo Bisons. Sahlen's has been the 'Official Hot Dog of the Bisons' since the 2012 season with nearly a million hot dogs served to Bisons fans since the partnership began. Along with the naming of the Bisons home ballpark, this new agreement will include several signage and promotional elements. 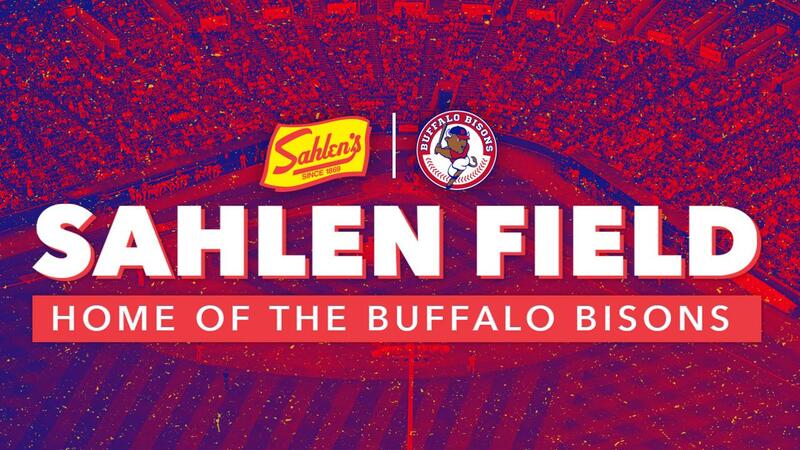 "As we at Sahlen celebrate our 150th year of doing business in 2019, we couldn't be more excited about expanding our relationship with the Bisons. Both brands have a rich history in Buffalo and we are looking forward to another great season," said Joe E. Sahlen. Sahlen Packing Company was founded in 1869 in Buffalo, New York as a family business with one guiding principle: only the freshest and highest quality meat products would bear the proud Sahlen name. Today, in addition to being the name behind the Buffalo area's favorite hot dogs and holiday hams, Sahlen's has grown from their Western New York roots to offer "old fashioned" smokehouse ham, turkey breast and hot dogs in over 25 states with plans to expand in 2019 and beyond. In 31 seasons, 22,891,783 fans have entered the gates at Sahlen Field. The ballpark is home to the top six (and eight of the top nine) attendance marks in the history of minor league baseball. The mark of 1,240,951 set during the 1991 season remains the record for minor league baseball.